Today me and Kevin Field will be talking about podcasting, a topic we both are passionate about. 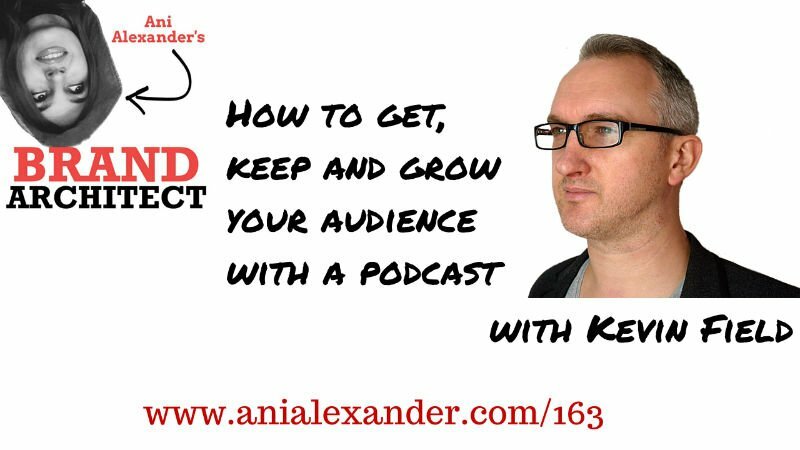 Kevin helps develop your podcast and get, keep and grow your audience. He has been doing it for years in radio and now passes on his skills to podcasters. His experience has taken him on incredible journeys from recording at Buckingham Palace to creating content in prisons. The same but different every episode! I hope that you and your audience are doing well and the week has been productive and positive so far. Mine is not as productive as I wanted it to be, but on other hand we all deserve a break once in a while, right? 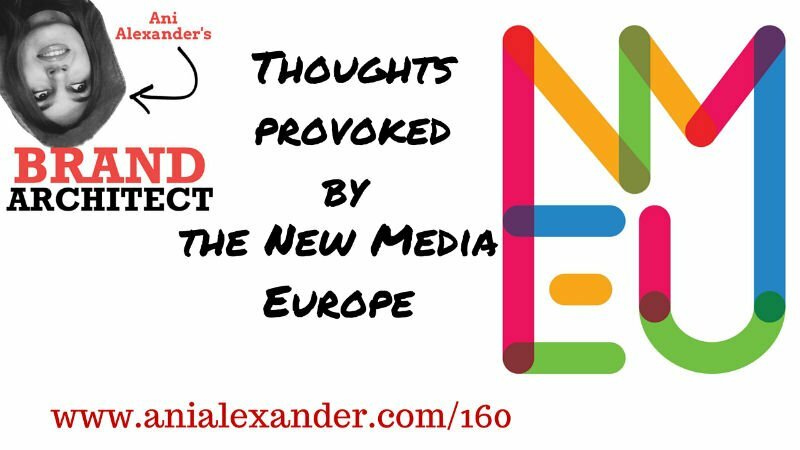 In the previous episode I promised to share with you my thoughts and experiences provoked by the New Media Europe. For those who don’t know – and probably many of you don’t since it is not in the US – New Media Europe is a conference for people focused on growth. This is the conference for entrepreneurs, freelancers, business owners, content creators (including podcasters, bloggers, vloggers) and startups in all stages of growth. And I had the privilege of being one of the speakers at that event. I was a speaker for the first time but hope not the last because I sort of enjoyed being on stage. As one of my speaker friends puts it “it’s like being a rockstar”. And I have been a rock soul since my teenage years… Hoops it seems I drifted away… that is not what I wanted to talk to you about. We usually spend most of our days working online and that can make us feel a bit lonely. Most probably there are not many people among our relatives and friends who are from the same field. That means that they do not understand what does it feel to be in our shoes – they don’t imagine our struggles, challenges and success stories… When I land a guest post on a big website, when I am invited to speak, when I get a good review for my book or a podcast many don’t really realize that it is a big deal. And self-motivating ourselves non stop is not an easy thing to do. That is why events where like minded people gather are very important. That is where we realize that we are not the crazy weirdos who have chosen to go against the traditionally accepted career path. So events like this are great place to finally feel like a fish in a water. And you end up meeting new awesome people, which is always an amazing bonus! We talk a lot about personal branding and branding your business. There are various elements and tactics and strategies, which we definitely will be covering in the Brand Architect podcast. We also hear a lot about being authentic and genuine and how important that is. Being authentic has become one of those fancy new expression everyone is using these days. Well at New Media Europe I vividly saw why being true to yourself in your online branding is very important. The conference lasted two days + we had a gala dinner and award ceremony. This is a pretty long time. This means that if in your online branding you had positioned yourself anything else but who you really are – pretending for 2 whole days + the evening would be very hard. You’d rather spend time having fun and not stressing out about how you are perceived. And that can happen only if that’s how you and your brand is online. This personal meeting should only reinforce the image you had created and not confuse people. You don’t want people realize that you are not at all who they thought you were. These days we have so many different means to connect with people from all over the world. Few months ago, when I was still living in Armenia I was relying on purely online communication. And I had never met anyone from my network. We have video calls, live streaming platforms and the communication online is as close to the real thing as it could possibly be. It could probably replace the real thing altogether, right? – wrong! I can’t really explain and put into words what it is exactly, but there is a certain something that you feel and experience only when you meet the person in real life. It is a completely different quality of communication and I don’t believe it can be replaced with anything that online options have to offer at this point. On events like that when many people meet each other for the first time there is one popular question that everyone asks the other. “So what do you do?” is something we hear over and over again. And that’s during a coffee or lunch break, which means you can’t go ahead and tell the long version of your life story. That is why putting your brand and what you do in one short and crystal clear sentence is very important. You have to be very precise about who you are what you do. Since the question will be inevitable and you will be getting it all the time, make sure you have the best answer to give. I truly believe that the biggest value you can get from conferences and events are the people you meet and the connections you create and the relationships that you build. That is why the worst thing you can do is go away from the event and never be in touch with the people you met there. Follow up, stay in touch and continue networking online. Yes it can’t replace a personal meeting, but in case that can’t be done online is still much better than nothing. Ok, since I am finishing this episode with stay in touch. Hey feel free to connect with me. You can email me by clicking the link here. And don’r forget to join the Brand Architect Club here. If you are introvert and don’t feel like connecting then you can still help me grow the podcast by subscribing to it and leaving a review on iTunes.